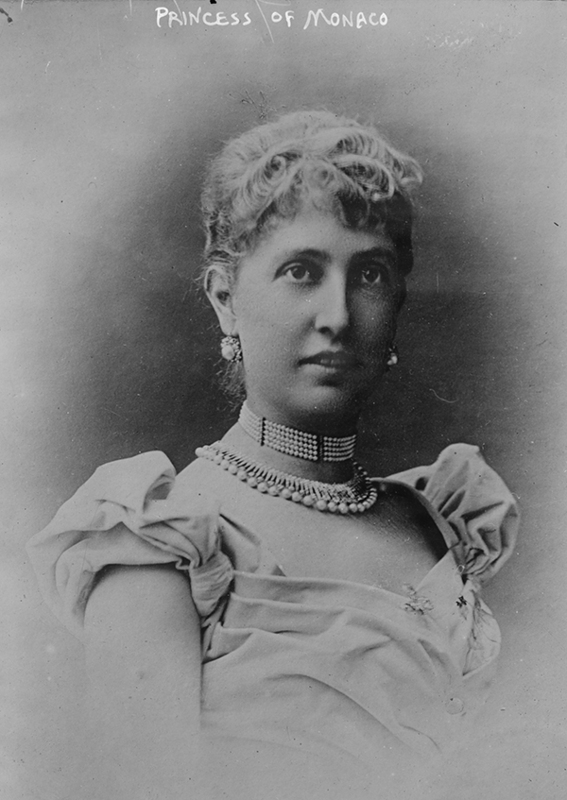 Alice Heine from New Orleans became the first American-born Princess of Monaco by way of marriage in 1889. Decades before Hollywood film actress Grace Kelly created a media sensation by marrying Prince Rainier Grimaldi in 1956, Alice Heine became the first American-born Princess of Monaco by way of marriage in 1889. The only New Orleanian to ever ascend to European crown royalty, far beyond the make-believe monarchs of Mardi Gras krewes, Heine was born to Michel and Amélie Miltenberger Heine on February 10, 1857, in the 900 block of Royal Street at the home of Alice’s late great-grandfather. Alice’s father was a German Jew who, according to his 1904 obituary in the Daily Picayune, had come to New Orleans in 1837, accompanied by his older brother Armand. The brothers’ uncle, a wealthy Berlin banker, financed his nephews’ banking and commission house, known as A & M Heine, in a building located at Common and Carondelet Streets. After just twelve years, the brothers’ business was valued at about $600,000. With their social position enhanced (Armand was a member of the exclusive businessmen’s Pickwick Club and had erected through agents the club’s meeting house at the corner of Canal and Carondelet Streets), Michel was able to wed Amélie in 1853. She was the daughter of a very wealthy first-generation French American, Joseph Alphonse Miltenberger, an architect and cast-iron importer by trade, and his Creole wife, Marie Céleste Dorfeuille. Soon after their wedding, the newlyweds traveled to Paris, France, where a European branch of A & M Heine was opened. They alternated part of each year in Paris and part in New Orleans. The Heine frères soon commanded one of France’s most important banking concerns. Michel and Amélie became regulars in the court of Napoleon III, who, along with the Empress Eugénie, became godparents to the New Orleans-born Heine. The House of Heine loaned the emperor substantial sums of money to finance his war against the Prussians in 1870–71. At age sixteen, Alice accompanied her father to Paris, where she became the toast of high society. On February 25, 1875, she wed Armand Chapelle, 7th Duc de Richelieu and Marquis de Jumilhac—a distant relative of Louis XIII’s infamous Cardinal Richelieu—in Paris. She was raised in the Jewish faith but converted to Catholicism. The couple settled at the duke’s ancestral home, the Château de Haut-Buisson, and Heine bore a son (the eighth and final duke) and a daughter. Five years into the marriage, the duke died. He left Alice seventeen million francs. The wealthy widow spent most of her time at her home and intellectual salon in Paris in the Faubourg Saint-Honoré, where she attracted authors, poets, and even princes. Marcel Proust was a frequent guest and used Alice as the model for the Princesse de Luxembourg in his monumental work À la recherché du temps perdu (Remembrance of Things Past, later translated as In Search of Lost Time). His Serene Highness Prince Albert I of Monaco, heir to the Monégasque throne (and great-grandfather of Prince Rainier III), was also a visitor. 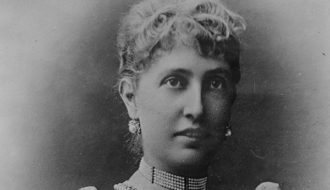 Alice married the divorced Prince Albert (whose first wife, Lady Mary Douglas-Hamilton, was the daughter of a Scottish duke) on October 30, 1889. 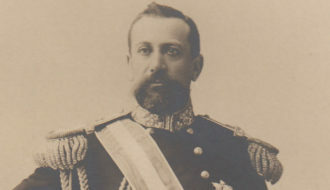 The prince took a great interest in oceanography and was often on sea expeditions. While he was away, the new princess set about bringing class and distinction to a country financed by the casino at Monte Carlo. She fashioned the principality into an elegant cultural destination and took a great interest in its grand opera. The Diaghilev Ballet was also a mainstay. With her husband away so often, Alice became infatuated after meeting the singer-composer Isidore de Lara (born in London in 1858 as Isidore Cohen). His artistic and intellectual accomplishments were great, and although he was under five feet tall and had a hunched back and arm, he had a strikingly handsome face with dark smoldering eyes. Smitten, Alice became de Lara’s lover, which occasioned Albert striking her in the full view of an audience at Monte Carlo’s opera house, the Salle Garnier. In 1902 Albert and Alice separated judicially but still remained married. Upon Albert’s death twenty years later, she became Her Serene Highness the Dowager Princess of Monaco. Heine never remarried. She died in Paris on December 23, 1925. Hemard, Ned "Alice Heine." In https://64parishes.org Encyclopedia of Louisiana, edited by David Johnson. Louisiana Endowment for the Humanities, 2010–. Article published August 26, 2013. https://64parishes.org/entry/alice-heine. Gehman, Mary, and Nancy Reis. Women and New Orleans. New Orleans: Margaret Media, 1988. Leavitt, Mel. Great Characters of New Orleans. Nevada City, CA: Lexikos Publishing, 1984.